Death penalty is probably one of the most debatable issues taken from all aspects of life. While some people are absolutely assured it should be performed unconditionally, the others seem to have the other viewpoint. We shall leave those who are for the capital punishment and focus on the top 8 reasons opposing the death penalty. What if the execution is wrong? The worst thing is that once it is performed, it will never be rectified. Since the capital punishment reinstatement, nationally 142 individuals have been released from the punishment. What is really unbelievable – to execute an individual costs more money that to take him to prison till the end of his days. A lot of family members, who have lost someone they love, find capital punishment far from healing their wounds. It never ends their sufferings. To say more, the legal process that takes place long before the procedure of execution adds to the agony the victims’ families get faced with. In accordance with various scientific studies, the capital punishments never deter individuals from committing crimes. More than 140 countries all over the world (including North America, Western Europe and South America) have successfully abandoned death penalty in practice or in law. Even though some of religious scriptures include supportive facts for the capital punishment, the majority of religious groups all over the world today find executions morally wrong. In capital cases of some countries the race of the defendant and the race of the victim happen to be the number one factors that help to determine, who will be put to execution. Back to the 1990, one can point out one of the General Accounting Office reports. In accordance to the document, the race of victim was the main factor to take into account when determine who would face with the death penalty. In other words, those people who murdered African Americans were more likely to evade capital punishment than those who murdered people with white skin. 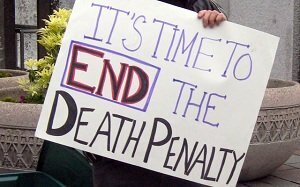 In the states, where they retain the capital punishment, jurors have an opportunity to make use of an alternative for the death penalty which is sentencing the accused one to the life in prison without any right for parole. This was an example of Capital Punishment essay, written by the writers of our custom writing service. To buy an essay on the necessary topic, please, fill in the Free Inquiry form in the top right corner of this page.